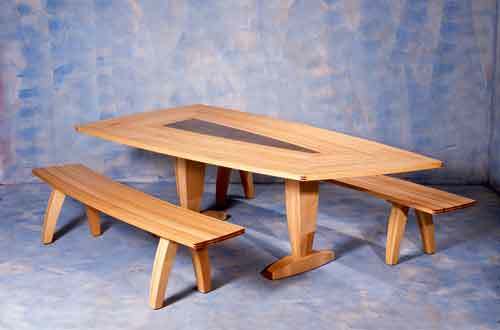 © 1993 This dining room table was designed for a California beach house. 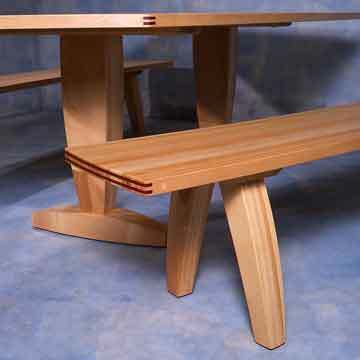 The client wanted a table that could take abuse but still had an elegant feel to it. The picnic table that they were using functioned well so we just designed a more updated version. 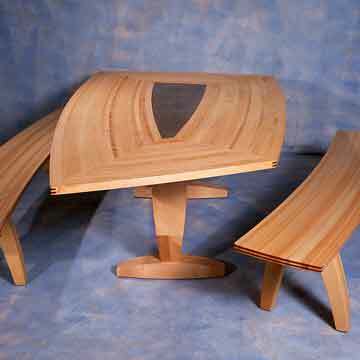 In fitting with the ocean theme the table was designed in the shape of a sail, the strip plank construction is common in boat building and the wood is Beech.